The unexpected drama unfolded after the World Heritage Committee approved a resolution disavowing Israeli sovereignty in Jerusalem at its annual meeting, which this year was held in Krakow Poland. The ambassadors of the Arab countries and their partners should visit the concentration camp of Auschwitz-Birkenau, Shama HaCohen suggested. Throughout the holocaust the Jews never stopped saying, 'Next year in Jerusalem. We will never stop staying it!,' he added. 'Just as Hitler, the Nazis, and their partner - [former Jerusalem Mufti] Haj Amin El Husseini - did not succeed, you will not succeed as well as denying the Holocaust or in your efforts to destroy Israel or the Jewish history. 'No politicized decision of UNESCO will ever move one brick from a wall in Jerusalem, nor will it succeed in separating between Jerusalem and the Jewish nation,' Shama HaCohen said. She accused Shama HaCohen of turning the meeting "into a politicized circus." 'Let me request that we stand for a moment of silence for all the Palestinians who have died in the region,' she said. 'If there is some legacy from the victims of Nazi barbarism and barbarism everywhere, is that we need to be firmly attached to our freedom. Today we have had an exemplary demonstration of how there are some victims who are respectful and others who are not, some who will stand and others who will remain seated,' Sanbar said. 'I am tired of hearing the same litany of complaints be it here or in other forums. We bear about the politicization of culture. Let us see who is mixing politics with anything else. Here we have an occupying power who has refused to render homage to the victims of barbarism, even in our day and age,' Sanbar said. Additionally, he said, there was "no distinction between uninvolved children and citizens who were harmed and Palestinians who were terrorists and martyrs.'..." "According to legal experts, an upcoming vote by UNESCO on whether to declare Hebron's Cave of the Patriarchs to be an endangered Palestinian heritage site is just the latest example of 'narrative warfare' against Israel and the Jews by the UN's cultural body. 'Anyone who comes to the Cave of the Patriarchs can see that the building is well-maintained, and open for members of all faiths to pray,' said Yishai Fleisher, the international spokesman for the Jewish community of Hebron, who noted that the site's largest room is reserved almost exclusively for use as a mosque by local Arabs. Further, Fleisher explained that like the Western Wall, 'the Cave of the Patriarchs monument was built by a Jewish king' - King Herod - more than 2,000 years ago. 'The Cave of the Patriarchs has been there for over 3,500 years (predating King Herod's monument at the site), so it is very strange that all of a sudden there is an emergency,' Kontorovich said. Kontorovich pointed out that the Cave of the Patriarchs is the one holy site at which members of any faith can openly come to pray, and have for decades..."
It slammed the move as 'complete bias in favor of Israel,' and said it 'confirms what has been reported in the corridors of the United Nations in New York. Recently, many foreign diplomats have expressed that Haley is an ambassador for Israel more than an ambassador for her country, the United States of America.'..." Participants in an Israel-bashing U.N.-sponsored forum, held in New York on June 29-30, 2017, used the globally webcast opportunity to make numerous calls to boycott, divest, and sanction (BDS) the Jewish state. BDS seeks to accomplish through economic warfare what Arab armies and terrorists have failed to accomplish after seven decades. The calls were made at the U.N. "Forum to Mark Fifty Years of Occupation," organized by the U.N.'s Committee on the Exercise of the Inalienable Rights of the Palestinian People, a body created in 1975 to implement the infamous General Assembly resolution declaring Zionism to be a form of racism. The Forum saw numerous instances of antisemitism and calls for violence, and comparisons of Israel to ISIS. "No state likes to be a pariah; look at South Africa. Now we're told that the BDS movement won't work, won't do anything. Well, it helped in South Africa." "The entry point is to change the balance of power, and that can be achieved, in my humble opinion, through five ways, or five pillars, the first of which is resistance...The second pillar is boycott, divestment, sanctions: BDS. The Israelis don't like it. It's their problem. They will fight against it. It's their problem. But it is the one of the most effective methods because it first of all allows Palestinians in the diaspora to participate in the Palestinian struggle..."
"Second, definitely put every effort you can in contribution to the strengthening of the Boycott Divestment Sanctions. BDS is the most powerful instrument, and it should be used, and it is effective, and that's why the Israeli government is so crazy and mad about it..."
"But to be frank with you, it has to be a complete boycott of Israel as a government..."
NGO: "Save Israel, Stop the Occupation Partnership"
"The second point I wanted to make is about BDS. So these past two days we have heard a lot about the occupation, about '67, and as Jessica [Nevo] mentioned, not much about '48. But on the other hand, when we speak about BDS, we never distinguish. The BDS is against Israel-all of Israel. Right? So I want to make a comment on that. I think that although boycotting Israel, Israel is in charge of the settlements and all these policies." "They have five artificial lakes for crocodiles because some Europeans like to buy the crocodile shoes and bags, vineyards, turkey for their thanksgiving. That is a shameful chapter in human relations and international law. Settlement products must be boycotted if we want to end the Israeli occupation." "If we look at what Resolution 2334 can do, I think the most important part of it has been that it calls very, very clearly in one of its clauses to make a distinction between the territory, the land of the State of Israel and the occupied territories. I think this is the most important thing that we have with this resolution, if indeed it is implemented, to distinguish between the territory of the State of Israel and the territories occupied by Israel. Doesn't enumerate how to do this. It could be by product-labeling of settler goods, goods built and made in the settlements. It could be by non-investment of companies-in companies operating in the settlements. It could be by boycott of goods that are made in the settlements. It could be other forms of non-cooperation with the settlements or settlers." "What we have today with the Boycott, Divestment, Sanctions Movement is a new step. The idea is that instead of waiting for states to take action using, let's say, Resolution 2334, as we discussed before, we can try and influence politics from the grassroots up...And part of what we're trying to do through the complaints I'm involved in, usually labeled as boycott, divestment, sanctions, is to really track lines of accountability everywhere and try to make the price higher by creating a higher risk for any kind of continued support and normalization of the occupation." "In 1982 and again in 1983 in the aftermath of Israel's invasion of Lebanon, the UN General Assembly here called for an international boycott of Israel. And it called for international sanctions to be imposed on the Israeli state. So that was the UN here calling for that 45 years ago, so I just want to say it's out there...So it makes sense that civil society, in the anti-apartheid movement and in relation to Palestine and Israel, have turned to boycott, divestment, and sanctions as nonviolent actions. And so I wanted to say that's a natural progression. We'd be-love to defer and give that right back to the member states as they join us in taking up Boycott, Divestment, and Sanctions. So we hope that." "It's very important to be able to talk about full boycott because again, we're talking about-when we talked about the boycott of South Africa-people did not boycott the Bantustans. They boycotted the government of South Africa, which were allowing-which were imposing apartheid throughout the country...People can choose to boycott different kinds of things within that, but the framework is the same. You can't stop-you cannot stop the-the conditions on which the boycott movement is based, do not end on the settlements." "The fact-finding mission to the Gaza Strip in 2009 was shelved and seems to be irrelevant. But within it are still recommendations that any state can pursue, including applying sanctions for arms to Israel. There is no reason not to apply those sanctions which have been recommended." The Cave of the Patriarchs in Israel, the subject of a UNESCO vote this week on declaring it a "Palestinian heritage site"
"MK Sharren Haskel (Likud) visited the Cave of the Patriarchs in Hevron on Sunday, ahead of an upcoming vote on a UNESCO resolution declaring the Cave of the Patriarchs a 'Palestinian heritage site'. 'This is a test for the international community. The Palestinian claims are baseless and distort reality. The Palestinians want to rewrite history and use UNESCO as their mouthpiece,' said Haskel. The World Heritage Committee's 21 members are reportedly scheduled to meet in Krakow, Poland, this week to vote on the Hevron issue..."
Rabbis and scholars who daily attend institutions at Rachel's Tomb in Bethlehem heard a loud explosion today (Monday) while learning, from an improvised explosive device thrown by Arabs across the separation fence, close to the window of Rachel 's Tomb. A Jerusalem police spokesman said, "A short while ago, an object was thrown at the Tomb of Rachel, near the wall of the facility; there were no casualties and no damage was caused." Rabbi Tzvi Uziyahu, one of the Rabbis of Rachel's Tomb institutions, said: "By G-d's grace we had a miracle - if G-d forbid the explosives had ignited, there would have been many casualties at the bus stops and at the entrance to the tomb. Studies and prayers at Rachel's Tomb in spite of the security situation, and the overall activities and studies in the area continued and will continue as usual in the coming hours and in the midnight Kollel," he said. Participants gather for the "U.N. Forum to Mark Fifty Years of Occupation"
Participants in a UN "Forum to Mark 50 Years of Occupation", held in New York June 29-30, 2017, hailed Palestinian violence against Israeli Jews as legitimate "resistance," questioned the legitimacy of the Jewish state and used their UN platform to spread antisemitism. The forum was organized by the U.N.'s Committee on the Exercise of the Inalienable Rights of the Palestinian People, a body created in 1975 to implement the infamous General Assembly resolution declaring Zionism to be a form of racism. As planned, the event was an obsessive anti-Jewish and anti-Israel affair broadcast worldwide via a UN webcast. Here is a sample of the hate-speech and encouragement of terror, not only tolerated, but promoted, at the United Nations. Mustafa Barghouti (UN-invited panelist, Member of the PLO Central Council, the Palestinian Legislative Council, and General Secretary of Palestinian political party the Palestinian National Initiative): "Popular Palestinian resistance to occupation and apartheid, brings back the same basic principles that we used in preparation and in initiating the First Intifada,..Popular resistance means using all forms of possible resistance... The most important form is the popular resistance on the ground by Palestinians." "What does violence mean? If you are under aggression, do you have the right to defend yourself or not...Do people have the right to resist that or not? If they don't resist this intolerable injustice, they would be simply behaving as slaves... And even when we ask for punishment of the occupier, we are accused of being antisemitic." 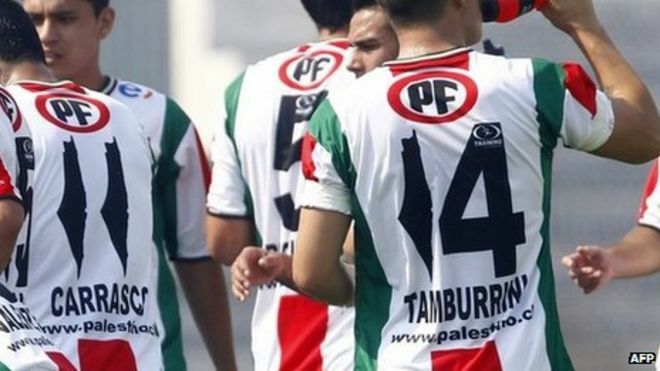 "First of all, I want to say that I went to Chile, and I visited the Palestine Club, and I was so impressed, because on their shirts they used, instead of the number one, they used the map of Palestine. And then the Zionist Lobby organized a campaign and forced them to remove it, but they still kept it on the side, yes. And you could still see it." Riyad Mansour (Invited panelist and Palestinian UN Representative): "We were able to articulate the Declaration of Independence of the State of Palestine as a result of that collective, remarkable effort of the Palestinian people in the First Intifada." [The First Intifada (1987-1993) involved at least "3,600 Molotov cocktail attacks, 100 hand grenade attacks and 600 assaults with guns or explosives" directed at both Israeli soldiers and civilians. 16 Israeli civilians and 11 soldiers were killed, 1,400 Israeli civilians and 1,700 Israeli soldiers were injured. Approximately 1,100 Palestinians were killed in clashes with Israeli troops. Nearly 1,000 Palestinians were killed in inter-Palestinian fighting (an "intrafada") between 1989-1992. UN-accredited NGO Al-Awda representative: "If Israel has a right to exist as you say, in what form does Israel have a right to exist? Does it have a right to exist in the format that it exists now, which is a supremacist colonizing state in the 48 territories... Most recent polls indicate that most Palestinians actually want one state and the only solution they see to their grievances is resistance..."
Saeb Erekat (UN-invited panelist and Secretary-General of the Palestine Liberation Organization): "Hamas and the PFLP [Popular Front for the Liberation of Palestine] are not terrorist organizations....You believe you can maintain the status quo? You believe you can continue enforcing an apartheid deeper than the one that existed in South Africa and get away with it?" Jody Williams (UN-invited keynote speaker, Nobel Women's Initiative): "Universal rights today, and I firmly believe this, universal rights today are threatened not by terrorists, they are threatened by fear. Universal rights are threatened by the fear perpetrated by governments under the guise of national security." Demonizing the Jewish State Galia Golan-Gild (UN-invited panelist, Interdisciplinary Center Herzliya): "There's spoilers on both sides, with the Islamists, the Hamas and Islamic Jihad on one side, the settlers, the Jewish settlers on the other side..."
Cuba: "The Palestinian people have been victims...[of] massive flagrant violations of their human rights and on a continuous basis murdering of thousands of their children..."
Tania Hary (UN-invited panelist, Executive Director for the NGO Gisha, Legal Center for Freedom of Movement): I also want to highlight that I think that this is particularly a kind of policy of hubris and cruelty. I think that what's happening in the Gaza Strip and what's been happening now for at least the last 10 years is one of the biggest experimentation projects on the planet. The idea is, how do you test the breaking point of 2 million people?" Wesam Ahmad (UN-invited panelist, from the UN-accredited NGO Al Haq): "Much of the Israeli economy is controlled by a select number of holding companies, or groups, or families. And these issues, I think, allow us to look at this issue of the economic interests...The Jewish community as a whole when this issue of economics playing a role in perpetuating the conflict leads to the question...is this conflict continuing in order to line the pockets of key individuals? And is the Jewish faith being used and exploited in the same way that the natural resources of Palestine are being exploited to achieve these ends?" "So I think a question that I would like to see answered or a general opinion is, is the Jewish religion being exploited for economic gains by a key elite segment within Israeli society? And are they the ones that are driving this conflict..."
Aida Touma-Sliman (UN-invited panelist, a Knesset Member from the Joint List (alliance of Arab parties) "If the so-called Zionist left-which I don't agree that there is such a creature, there is no way of Zionism and left together [applause]." Organization of Islamic Cooperation (OIC) representative: "...Israeli surrounded themselves with...psychological walls that enabled them to live in peace with the idea of occupation: First, they believe that they are the chosen people and accordingly chosen people can do whatever they like, no question about this. Second, and this is more serious actually, the Palestinians are not human beings, they don't have human rights, and accordingly there is no question about human rights." Mustafa Barghouti (UN-invited panelist, Member of the PLO Central Council, the Palestinian Legislative Council, and General Secretary of Palestinian political party the Palestinian National Initiative): "So Israel continues to bring people to Israel. They have a lot of money, and they use it... We are encountering a very well-organized structure. And by the way, Israel has built a very powerful lobby in the States." Palestinian Federation of Chile (UN-accredited NGO - by the CEIRPP): "We have a major problem in Chile that the Jewish community of Chile is mainly Zionist. So we have a lot of problems and aggression on the part of the Jewish community..."
Mona Khalil (UN-invited panel moderator, UK-based organization "Independent Diplomat") asks: "...rather than naming and shaming Israel, such resolutions and recommendations have more often than not resulted in Israel's ability to name and shame the UN and the Human Rights Council as anti-Israeli and antisemitic. So how do you pursue justice and the rule of law in occupied Palestine without falling into the latter trap?" Wesam Ahmad (UN-invited panelist, from UN-accredited NGO Al Haq) responds: "That is a very good question, Mona, and it's an issue that we face on a regular basis of how to address the seemingly absurd argument that the work that we are doing is somehow antisemitic... And it is something that we have to continue to push forward and not be silenced by this attempt to cover all activity, all criticism of Israeli policy as somehow being antisemitic...or the distinction between Judaism and the Zionist ideology that led to the creation of the State of Israel..."
Hagai El-Ad (UN-invited panelist, Executive Director of the NGO B'Tselem) responds: "I think this is an essential question...[T]his accusation [of antisemitism] is a propaganda line by the Israeli government is...Now it's-I'm saying this with bitter cynicism, but this is very real. And this is being deployed systematically as a silencing tool with a very clear agenda. The clear agenda is to successfully perpetuate the occupation while continuing to minimize international consequences." Galia Golan-Gild (UN-invited panelist, Interdisciplinary Center Herzliya): "I think the accusations of antisemitism, at least in Israel, is part of the psychological manipulation of the public where they will say that the resistance by the Palestinians, or violence, or whatever, that's not opposition to the occupation. It was there even before the occupation. They hate us because we're Jews which is, of course, what they try to say using antisemitism outside as well." Mustafa Barghouti (UN-invited panelist, Member of the PLO Central Council, the Palestinian Legislative Council, and General Secretary of Palestinian political party the Palestinian National Initiative): "When we ask for punishment of the occupier, we are accused of being antisemitic."